Estimated In Ground Reserves based on core drilling and Lab assays exceeds $100 Billion. The Mine is permit and production ready. This is a major gold/platinum high-grade deposit. The entire property is 5,000 acres and is estimated to have $106 Billion in reserves based on drill reports and lab analysis (see attachments). The company is seeking $1 Million for a pilot mill production run. Investor will gain title to 100 acres, in the form of 5 20-acre BLM Claims. After the pilot run, production TPD will be increased drastically. Investor will purchase the 5 BLM claims for $1 million and leaseback for 20 years at 10% interest per year vs. 25% of the net metals recovered with an option for Rod Beyer and Associates to re-purchase the 5 20-acre BLM claims for $5 million within 5 years. After 5 years, Investor has the option to be bought out for $5 Million or raise $30 Million to fund the entire operation. If investors seek to purchase the mine outright, the owner will sell for $100 Million. Township 9 South, Range 11 East, Pinal County, AZ. 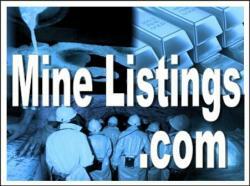 Drill Reports, Lab Data, Business Plan, and other relevant information is available upon request. Assays of the precious metals extracted from the magnetite during the last 11 months have show gold values of between 0.217 oz. to 0.581 oz. per ton, platinum values of between 0.140 oz. to 0.531 oz. per ton, paladtum values between 0.082 oz. to 0.23 oz. per ton and rhodium between 0.027 oz. to 0.126 oz. per too. Owner agrees to lease the five 20-acre plots of land for $1 million dollars for the express purpose of placer mining gold ore. In addition, investors can choose between an accepted profit margin to the landholder at 10% annually or 20% of the net metals recovered over the life of the reserves. Owner generously offers all interested investors the chance to participate in his project and gain the satisfaction of mining gold from the earth. All gold found during these excavations will have its value verified by the SCC. Join now to experience the thrill of gold mining and the joy of the highest in gold values. The Pinal County Placer Mine is not available at this time.